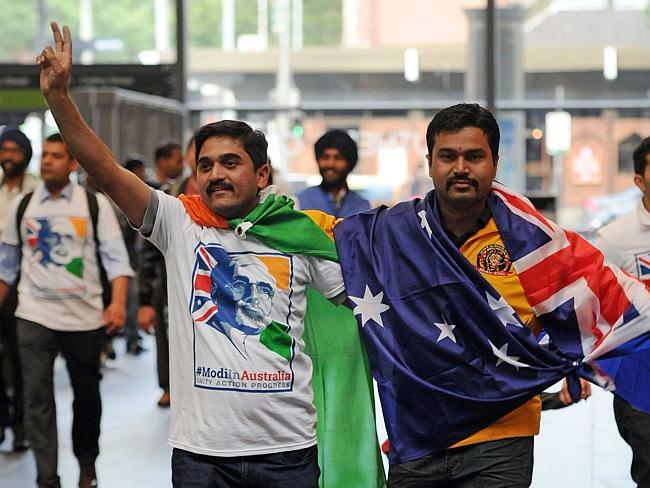 Narendra Modi was warmly welcomed by Australian in Brisbane and now in Sydney. People are so much excited to meet Modi Ji. A special train named Modi express is started from Melbourne to Sydney especially for Aussie-Indians so that they can meet Modi Ji. It happened first time in the history of Australia that any train is having one extra attached bogie a highlight of this train will be its menu i.e. "Special Gujarati Food." In Brisbane people were so excited to meet Modi Ji that they were waiting for him from one night before his arrival. People were touching his feet, shaking hands with him. His welcome was truly in Indian style. 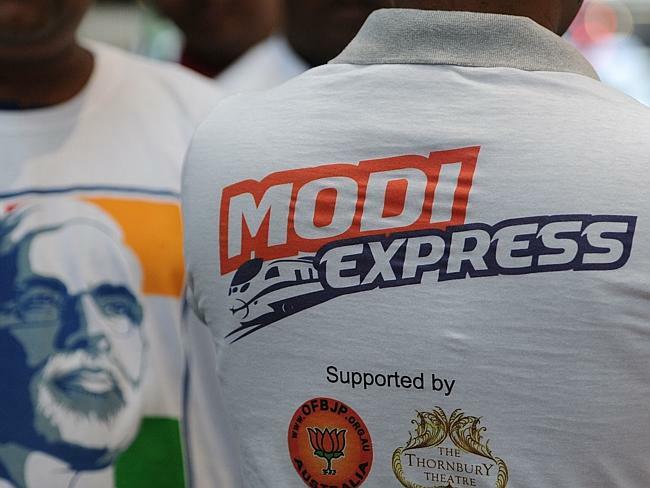 The level of excitement was so high that they were wearing Namo T-shirts. Last edited by SwatiSood : 11-17-2014 at 11:15 AM. P.M. Narender Modi promises lifelong Indian visa to PIO (Person of Indian Origin) card holders. 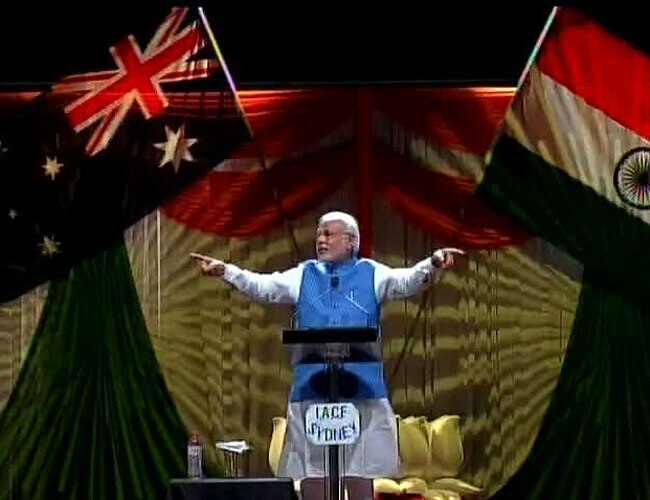 In Sydney During Speech He also said Six months are nothing, but my experience says, that the country is actually blessed by Mother India. Narendra Modi and Tony Abbott reveal new India-Australia military agreement. 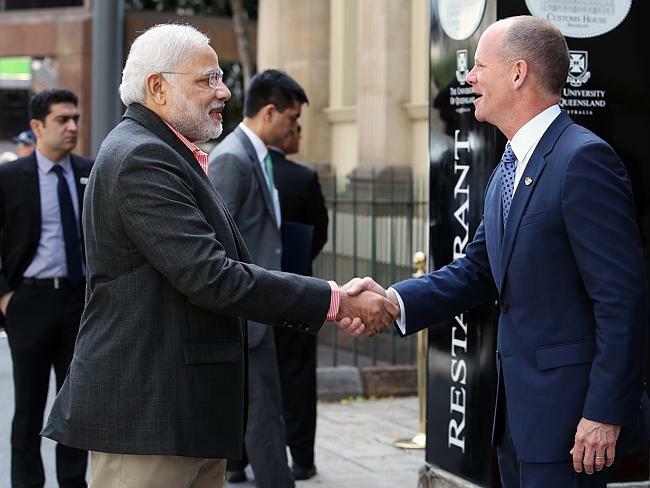 The Indian and Australian governments have now confirmed a Fairfax report that prime ministers Narendra Modi and Tony Abbott quietly signed a sensitive and potentially transformative new framework agreement. The new India-Australia framework dovetails neatly with both countries tightening ties with both Japan and the United States.